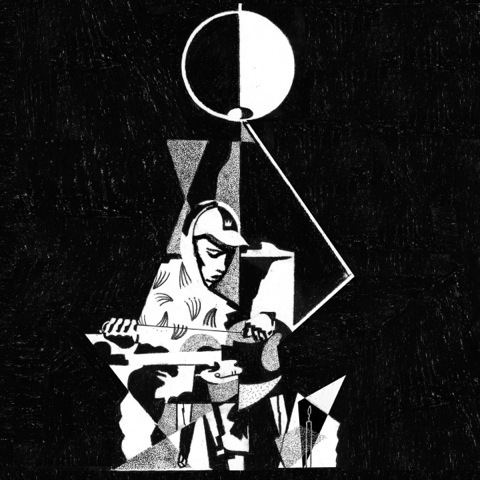 ‘6 Feet Beneath The Moon’ is the long-awaited debut album of 19-year-old British musician King Krule (aka Archy Marshall). It’s impressive, especially for a first album, and one of my favorite discoveries of the year. The thing about the album that’s immediately striking is Marshall’s voice- deep, rich and poignant. (In the words of my friend Kevin, he “has a lot of soul for a ginger.”) The next thing is the spacey, minimal guitar that flows from one track to another. Combined, these elements create a cavernous atmosphere that’s both unique and comforting. It’s obvious that Marshall draws heavily from personal emotions in his songwriting. ‘6 Feet Beneath The Moon’ feels almost like an autobiography. The lyrics, unsurprisingly, are superb. Album opener and lead single ‘Easy Easy’ is a fantastic track about feeling bleak and unfulfilled but knowing you have to push on- “if you’re going through hell/ we just keep going” Marshall belts. ‘Has This Hit?’ is the darkest song on the album for sure, beginning with crashing drums and briefly leaving Marshall a Capella, mourning, “I know when I look into the sky/ there is no meaning/ and I’m the only one believing/ that there’s nothing to believe in”, before lightening up with the realization that “you’re not my heart/ you’re its breaker” and ending on a softer note. The delicate ‘Baby Blue’ and thought-provoking ‘Out Getting Ribs’ are other highlights of the album. The only track I disliked was ‘A Lizard State’, which is a very moody track drowned in jarring brass. That being said, the album doesn’t suffer any other big pitfalls. It can be heavy at times, but is an album I really enjoy and would highly recommend.